You can upload local files into your Dremio cluster and use this data as a source with the same features as your other data sources. For example, you can upload an Excel spreadsheet, JSON, Parquet, or CSV file from your desktop. Once your file is uploaded, you can transform the data, join it with our data sources, and query it with SQL or any BI tool. Navigate to your Home location by clicking on the home icon & your username. In the upper right there are two buttons. The folder button allows you to add folders to your personal space to help you organize your files. The purple file button allows you to upload a new file. Click on the file button. Now you should see a dialog that will help you upload your file. You can drag a file here or navigate your local filesystem to find a file. 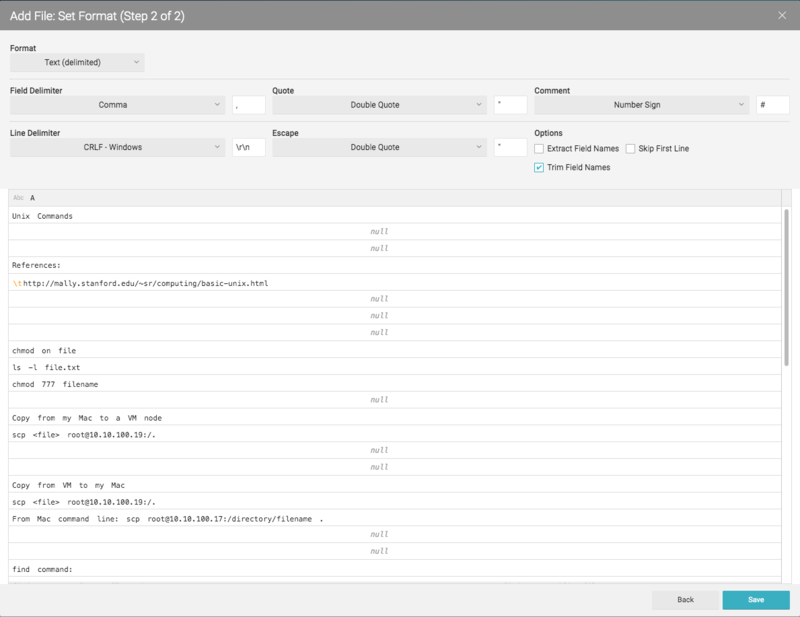 Dremio supports delimited files, Excel, JSON, Parquet, and other file formats. Once you have selected your file, click Next. If your file is large it may take a few moments to upload, depending on your connection speed. 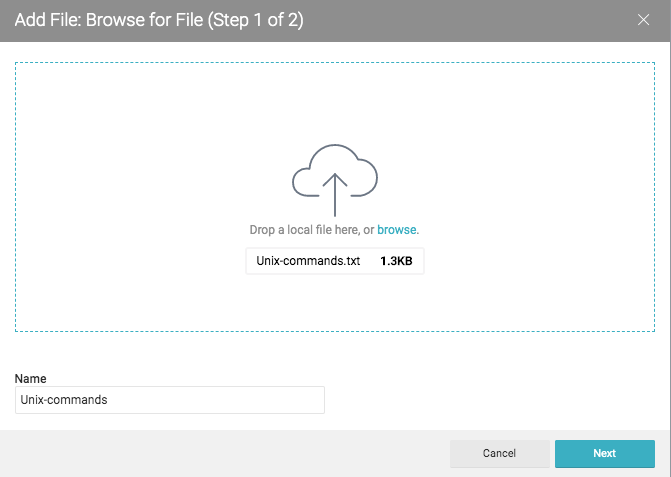 On the second step of the upload process, you can configure how the file is delimited, as well as other options. Depending on the file format you will see different options in this step. For delimited files, select the Extract Header option if the name of each column is in the first row of your file. Then click Save. Now your file is displayed in your Personal Space. You can click on the file to view its contents. 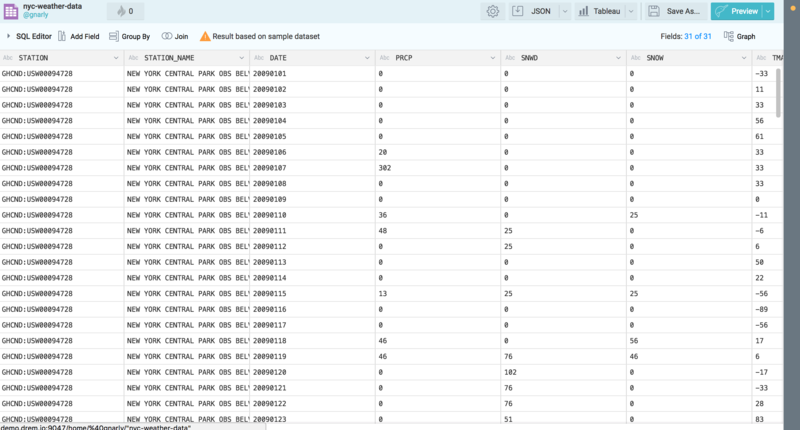 This file is now a data source in Dremio that you can use like any other data source, including the ability to query through SQL or with your favorite BI tool. Note that this is a copy of your local file. Updates to your local file will not be reflected in Dremio. You cannot perform bulk uploads into Dremio. Instead, groups of files with the same structure in a common directory can be queried together like they are a single table. To learn more, see the chapter on Directories. If you are running Dremio locally, you can create a NAS data source and connect to your local files. To learn more, see the chapter on NAS. By default, data in your personal space is private to the user. However, you can share with other users of Dremio by saving it as a virtual dataset in a public space.